Magic Carpet Cleaning provides professional upholstery and carpet cleaning services in Edgware HA8 at a very competitive prices. We use advanced cleaning equipment, certified and recommended by national agencies. Thus we have 100% clean guarantee or we re-clean for free. Fell free to call us right now on 0208 861 0979 for more information and price estimate. Magic Carpet Cleaning Company is using both dry powder and hot water extraction cleaning methods. Our Edgware HA8 carpet cleaners will start with a survey of the carpeted area to get an understanding of the condition. The type of dirt and stains involved will be the main factor that determines the type of powder or solution used to clean the carpet. Magic Carpet Cleaning in Edgware (HA8) has a team of certified professional cleaners with years of experience on their belt. That is why you can depend on them for all your steam carpet cleaning needs in the London area. 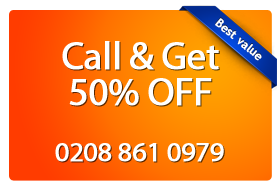 Call now on 0208 861 0979 for more information about our carpet cleaning services in Edgware. Our customer support assistants are ready to reply your questions every day of the week. Also you can get free price quotation.